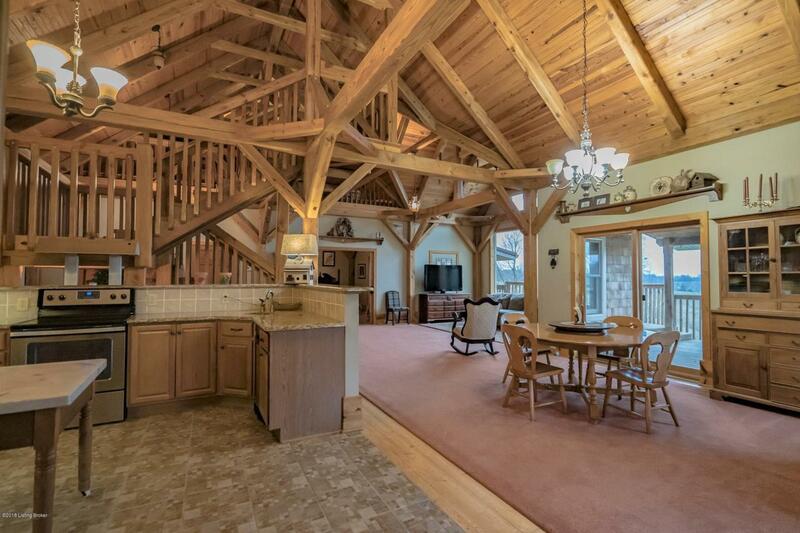 Welcome to this custom crafted timber frame home with wonderful views from all angles overlooking lakes and beautiful views of the country. Covered back porch. Over 3800 sf Featuring open floor plan with Great Room, Dining Area and eat-in Kitchen with granite counter tops, breakfast bar with stainless steel appliances. Master Bedroom includes French doors that open to covered back deck and a bathroom with soaking tub & large ceramic tiled walk-in shower. Main level offers 2.5 baths. Lower level is complete with walkout and 2 bedroom, full bath, additional Great Room and possible 2nd Kitchen. Detached 3 car garage. All of this on 5.02 Acres.